Running could be done in times and places where the sun could do severe damage on the eyes. This leads to the creation of an eyewear that aims to protect the eyes at all cost. 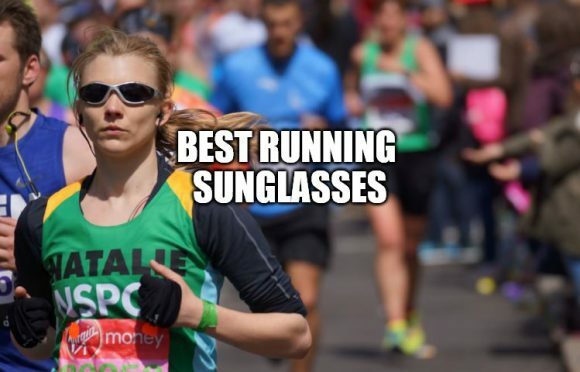 That’s why we decided to make a buyers guide on the best running sunglasses that you can use for this year 2018. There aren’t much type of running glasses out in the market. If the eyewear shall be categorized into the type of running, it would only differ in the type of terrain or surroundings, and on the distance travelled. Basically, some of the examples that could be given are marathon, cross-country, adventure, road, fell or mountain, track and field, and race running. When form and style are the ones in question, the basic ones include wrap-around, shield, and aviator. Sports sunglasses look the same with one another in any sport. The function and features are bested in the sports it specializes. 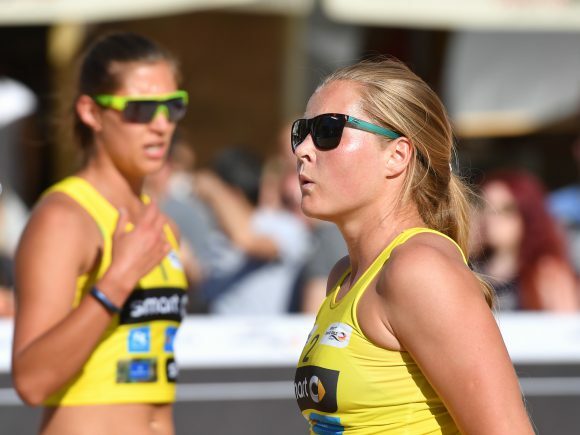 Anyhow, any type of sports sunglasses enhances the athletic performance of an individual as well as protects his or her eyes from additional harm. Running is a kind of sport where the user is involved in a continuous motion. The jog or sprint makes the user bounce repeatedly. In this respect, anything worn by the user also bounces and may cause displacement. This includes protective eyewear. Sports sunglasses usually have a morphology that wraps around the user’s head to ensure a tight fit. The key points such as the nose pads and the tips of the arms have a material wrapped onto it to further fix the glasses in place even at constant motion. This material could be rubber. In addition, rubber could reduce stress exerted on the key facial features adding comfort to the user. Speaking of comfort, the overall weight of the glasses shall be manageable. The shape of the frame shall balance the distribution of weight. For the eyewear to be lightweight, the frame and the lenses shall be made of light yet durable materials. The number one type of material in this list are plastics or polymers. Plastics are chains of molecules with a high molecular weight. Even with a high molecular weight, the material is not heavy enough as the packing of these chains are not dense or close with each other. The chains are placed in parallel with the direction of the frame. If a perpendicular force is applied, the frame is less likely to physically break. A manual breakage could only happen at intermolecular interstices. A hybrid could further enhance the durability and flexibility of the frame and the lenses, minimizing the negative effects whilst optimizing the positive ones. For the lenses, the material could have a coating that could minimize the transmission of light through the lenses. These coatings could be tints. The color that a human’s eye could perceive are the result of the wavelengths of light reflected off by the tint. In polarization, the light passing through is filtered to a specific orientation. The intensity of light is greatly reduced to the point that glares are not that striking. Ultra-violet (UV) coating, important for runs at noon or in high-altitude places, could be made from oxides or organic dyes that could absorb UV radiation before it passes through the medium. 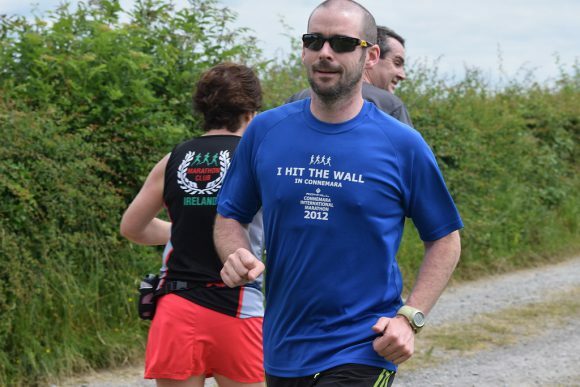 In running, the most vital feature to look for a pair of glasses is the comfort and its compatibility with the user. First and foremost is the size of the user’s head. There are glasses with arms that could extend up to a few centimeters to accommodate many sizes of the user’s head. A rubber fitting on the temples, ends of the arms, and nose pads could be put on for snug fit. If the user perspires a lot, there is a chance that the glasses would slip down the nose, so it is good to have a nose bridge that is tight-fitting but in an appropriate distance that air could still circulate on the nasal area. Anyhow, it is not much important, but it is good to know that there are hydrophilic (water-loving) rubber material. The more the user perspires, the more this material tends to stick to the skin. Running is commonly done during the day. Hence, for the lenses, a material with UV protection, glare reduction, and tint could greatly help in reducing the harmful radiation that may enter the eyes. Night time running is rare, but, anyhow, there are glasses with interchangeable lenses. If that is too hassle for the user, there are photochromic lenses that could inhibit the transmission of harmful radiation as soon as the moment sets in. Yet, these features only add up to the price. The most important are the first three mentioned. Choosing the right type of running glasses could help the user in attaining the optimum running experience and preserve their visual health. The right type of glasses could save the user every penny. The price set for it could take the user to many marathons with a single pair. Plus, it would help him or her be fashionable. 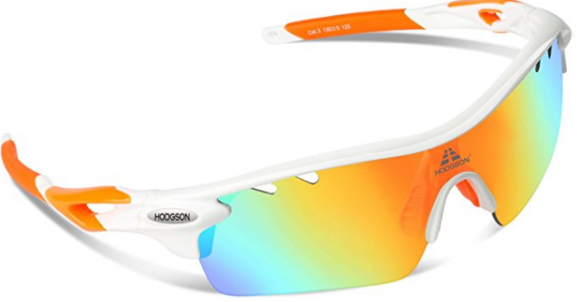 Here are some of the best running sunglasses that you can use. These lenses moreover eliminates glare and reduces eye fatigue. This is practically ideal for drivers and other outdoor activities enthusiasts. These lenses have a filter that reduces and eliminates this glare from reflecting surfaces. These frames are designed with a classic full-rim design which makes them look stylish and extremely impact-resistant. This frame is also accommodating for most faces. In this regard, you don’t have to worry whether it will fit you or not. The AKASO polarized sunglasses’ frame are made with durable material to ensure that they serve you on a maximum duration of time. This durability enables them to be super protective. The first layer offers the scratch resistant purpose. This specific layer prevents the lens from being scratched by foreign materials. The second layer assists in strengthening the polarized film. It increases the polarization feature of these sunglasses. It is provided in different material and color. Users are able to choose the color of their choice for the frames. It also have the most important feature of unbreakable frames. The material used to design them is not prone to breakages. The lens on the other hand, is added with another waterproof coating on the main lens. Due to this, it is wearable on rainy weather, and protects the lens against water hence preventing the water from blocking your sight. 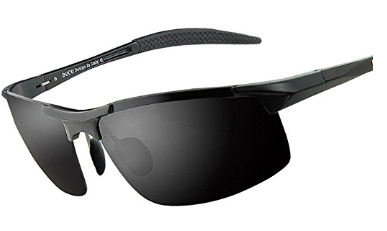 This sunglasses with its premium functionality, allows everyone to enjoy the reliable eye protection from most of the harm that might come along their way. These sunglasses have quality frames designed with a unisex look. Moreover, the makers give the chance for the user to choose their preferable frame color. 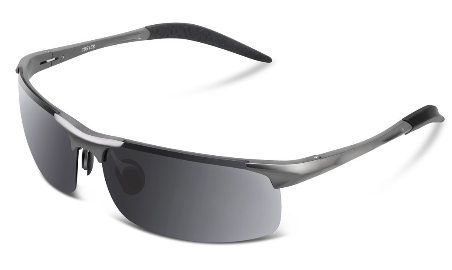 This sunglasses is super light and effectively rest on the user’s face without causing much or any discomforts. The lenses are capable of withstanding the slight force making them durable and resistance to breakage. The lenses are wide and allow a huge span of area for vision. These sunglasses blocks the UVA and UVB ultra violet rays. The frame’s material offers a super cool look and ensures long service duration. The adjustability power makes the sunglasses effective to be used almost in any activity, offering premium eye protection. These sunglasses are equipped with a soft rubber nose pad that rests on the user’s nose with utmost comfort. By the way, Cosver sunglasses makes sure that all their products are covered with a warranty in case the products get damaged before a certain duration of time and when the customers are not satisfied with it. The sunglasses lenses have 7 layers tint with specific special task. The first layer is the polarized layer, the second and third layers are the bonding layers that enable durability. The fourth and fifth layers offer UV protection by absorbing the UV light. The very last layers are the shatterproof layers. There is not much variance when it comes to running glasses. Basically, these are just sports glasses specialized in running. To be able to attain the optimum running experience, the features to look for is the snug fit of the frame on the user’s head, the comfort and lightness of the whole assembly, and the protection of the lenses from harmful radiation. You have a thorough description here of running glasses.Would the same apply to cycling? I need glasses that are comfortable under a helmet and also comfortable with the use of bone density headphones. Which ones would you recommend for this? Do they come in prescription lenses? I don’t like sunglasses that squeeze your head. Actually, most sports sunglasses can be used with various sports activities. 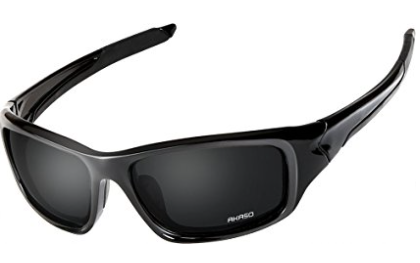 As for this running sunglasses, yes you can also use it for cycling. Actually, I made a separate article about cycling sunglasses. Feel free to take a look at it.